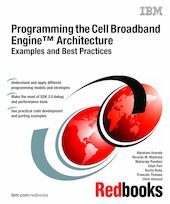 In this IBM® Redbooks® publication, we provide an introduction to the Cell Broadband Engine™ (Cell/B.E.™ ) platform. We show detailed samples from real-world application development projects and provide tips and best practices for programming Cell/B.E. applications. We also describe the content and packaging of the IBM Software Development Kit (SDK) version 3.0 for Multicore Acceleration. This SDK provides all the tools and resources that are necessary to build applications that run IBM BladeCenter® QS21 and QS20 blade servers. We show in-depth and real-world usage of the tools and resources found in the SDK. We also provide installation, configuration, and administration tips and best practices for the IBM BladeCenter QS21. In addition, we discuss the supporting software that is provided by IBM alphaWorks® . This book was written for developers and programmers, IBM technical specialists, Business Partners, Clients, and the Cell/B.E. community to understand how to develop applications by using the Cell/B.E. SDK 3.0.